While Katruska and I usually focus on creating and enjoying hand-crafted cocktails, there are times when only a fine liquor sipped slowly will do. Most of the time when this mood hits we turn to bourbons (Bulleit, Black Maple Hill, Elijah Craig, etc.) or single-malt scotches (Dalwhinne, Laphroaig, Highland Park, etc.). 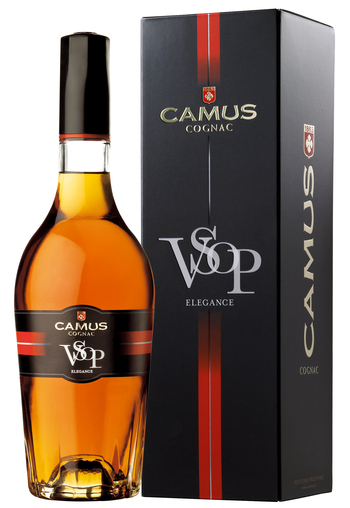 As National Cognac Day (today, June 4) approached we began to think about this liquor that embodies class and refinement. Could it ever replace bourbons or scotches in our hearts? While I wouldn’t say replace, thanks to the fine folks at Deussen who were kind enough to provide a few samples, we will definitely be making room. Specifically, room for the delicious line from the revered house of Camus (pronounced “kah-moo”). 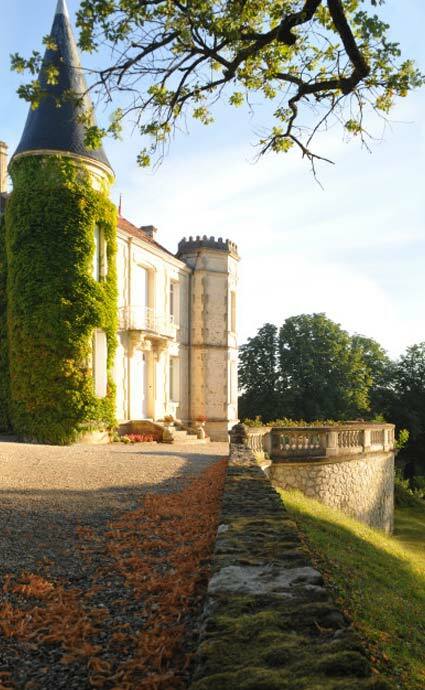 Camus is a family-owned producer of fine cognac founded in 1863. Five generations of the Camus family later, they are the fifth largest cognac company in the world with their products sold in over 140 countries around the globe. Their line begins with the Elegance range with grades of VS (Very Special), VSOP (Very Superior Old Pale), and XO (Extra Old), but also includes the exceptionally fine Borderies XO (a single growth Extra Old). The entire line has a beautiful caramel color that begs to consumed before you even open the bottle. However, the differences are readily apparent upon smelling and tasting. The smell of the VS immediately fills the room with scents of orange rind and vanilla sugar and it’s taste reflect those elements. The VSOP added the element of oak and hint of smoke while the XO mellowed all the flavors with the scent of leather and deep vanilla flavors. However, Camus’s crowning glory comes in the Borderies XO. Head and shoulders above the rest, it is an exceptionally smooth treat with lovely vanilla, floral, and hazelnut elements. While we definitely will be enjoying these neat, we can’t leave you without a cocktail to try as well. To truly experience the delicate nature of cognac, a simple recipe is required that will highlight and enhance. In that spirit we offer the Sidecar. 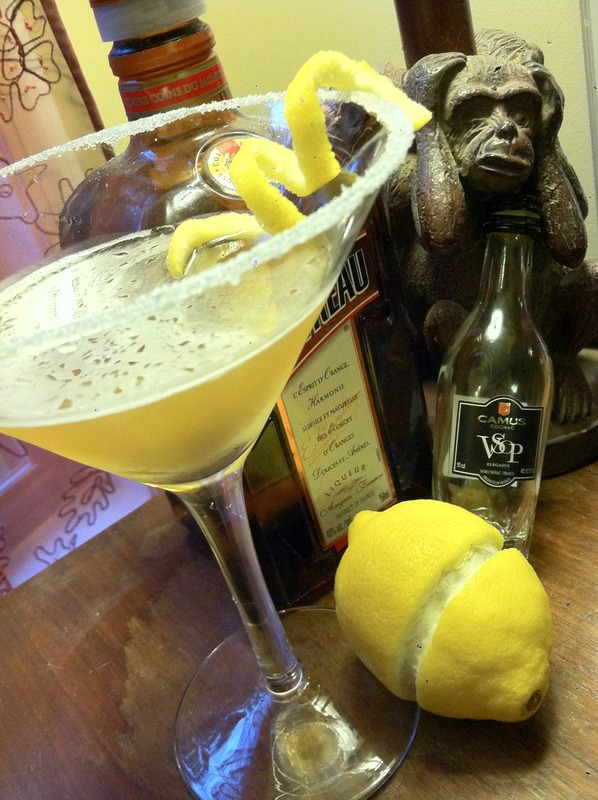 This vintage cocktail is delightful with the lemon and orange accenting all the wonderful elements of the cognac. So, here’s to National Cognac Day…today and everyday! Add all ingredients with ice to a cocktail shaker. Shake until well chilled. Pour into a sugar-rimmed cocktail glass and add a lemon peel.